This weekend has been really quiet! I have been working on the rapid response car Friday, Saturday and today (0600 – 1800). As I may have mentioned a couple of times before, I love working on the car, and since I have filled it with my gadgets I enjoy it even more. If I am sitting on standby in some lonely car park, I can pull out my netbook and write a blog post (like I am doing now), I can watch a film on my iphone or even do a bit of studying. On a usual day shift on the car, I can expect to do anywhere between 6 and 12 emergencies. This weekend has been a different story though. I would still rather be kept going and be busy throughout the day, as the day tends to go a bit quicker, but over time I have learned to enjoy the quiet times. The ‘old hands’ used to roll their eyes and tell me to settle down and relax. But I was always hoping the phone would ring. After all, I trained so that I could do the job, so that I could help people and ‘save lives’. What good was I doing just sitting there doing nothing? There are still many who really dislike standby, some have good reason for it. If you have a bit of a dodgy back, the last thing you want to be doing is sitting in a stationary car for a good few hours each day, but for most, its more of a case of boredom and being uncomfortable. Standby is here to stay, its never going to go back to being either on a job or sitting on station. We need to accept it as part of what we do and think of it a little bit differently than we have done in the past. I may be sitting typing on the computer now, but I am still serving a function. I am in between two ambulance stations. I have Swalwell approximately 5 miles to the east of me, and Prudhoe station approximately 6 miles to the west. If all crews are out, which is a high possibility, then I am ready to respond to either direction and should get to a patient rapidly if needed. If crews are in, then the area is well covered and all should be happy! Sitting in the car on standby is still providing a service to the community. If I am quiet, it means that there are no calls in the area, which is the best possible situation for the local population. If a job comes in, then off I go, and will likely return to this or another standby point afterwards. It still gets a little boring sometimes when its quiet, but the one thing that is certain is that it wont last for long, so whilst its here, im going to make the most of it. « Absolutely nothing to do with EMS! I did a couple of years on an FRV – I have to say I loved it! Being my own boss (within restriction) making all my own decisions and not having the backup of a colleague. But like you say its either really busy (like the other road crews) or its really quiet, even still I loved it! Our service has changed things though. They have now said Paramedics only on FRVs which seems a little bit wrong to me. Yes a Paramedic can give a few additional drugs than a tech can, but they can still only do BLS on their own. Then if they do a Paramedic Skill, they then have to travel with the patient anyway meaning that you are now down one resource. Why not put experienced techs on cars that can make a decision as to whether a Paramedic skill is required or a double tech crew is suitable. That way the right resource gets there and no resource is lost as the tech will not have to travel with the patient…. 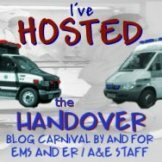 Thanks for the comment on my blog medic999. I worked my first 1900-0700 last night and we didn’t stop until 0700. And, I can honestly say that I enjoyed that aspect. I can sit on station at anytime if I wish, all I have to do is turn up an hour early and loaf about. Last night was strange though, we had 13 jobs but only 4 went in. The majority were fearful of swine flu so we had to don the mask and apron on a few occassions. Once again, thanks for the comment and the link. Funny you should mention status epilepticus as I have attended that job as a tech with a crew over 30mins away – it was very embarrassing and very frustrating! Might write that up as a blog post – hmm….